FLINT, MI – Organizers of Flint’s annual Juneteenth festivities are now launching an effort to support fathers with a Father’s Day Family Fun Cookout celebration. The celebration will be held at the University Square, at the corner of Grand Traverse and University Avenue, on June 18, 2017 from 3:30 to 9:30 p.m. and not only acknowledges Juneteenth but celebrates men, mentors and fathers. Fathers and their children will enjoy free food and entertainment. The event will also feature inflatables for children and games. Community partners include WFOV 92.1 FM of Flint, Spectacle Productions, The Paul H. & Angela R. Herring Foundation, the Greater Flint Arts Council, Flint Beat, FlyCy, Grace Thomas and Dr. Lee Bell.Additional Juneteenth activities include the Youth Freedom Dinner at 5:30 p.m. on June 16, 2017 at GCCARD and a Juneteenth Motorcade and Family Fun Day on June 19. The Motorcade will start at New Jerusalem Full Gospel Baptist Church located at 1035 East Carpenter Road to University Square. 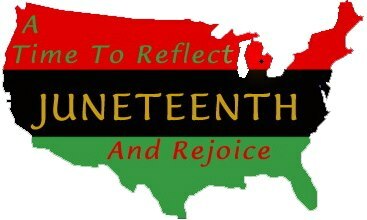 For more information about Juneteenth events or to volunteer call Paul Herring at (810) 239-2901. Vendors should call Brenda Wicker at (810) 767-1157 to reserve a booth.